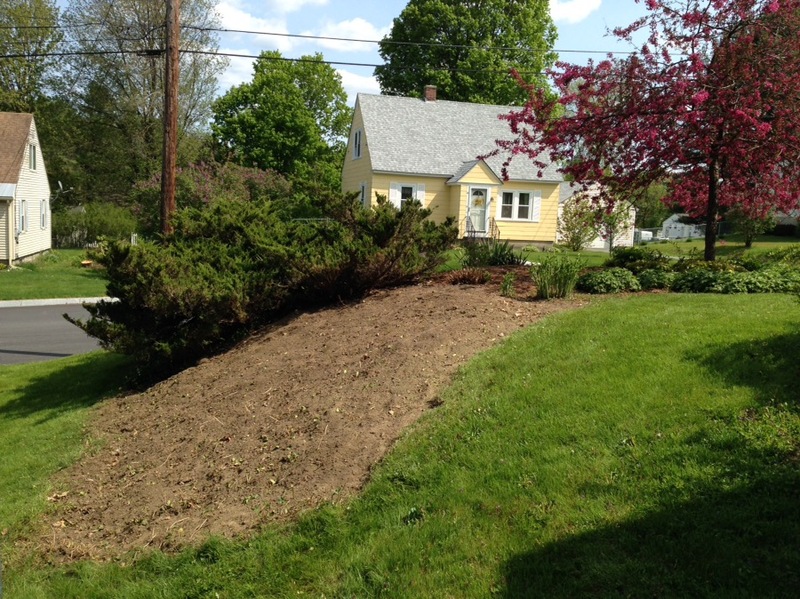 Once upon a time there was a huge and maple in our front yard with a lovely deep green blanket of pachysandra beneath it. Along cams freaky spring snowfall and our beloved maple split in two! Now the maple’s logs have long been burned as firewood and the pachysandra??? Well… it hasn’t been happy getting bleached by the sun. 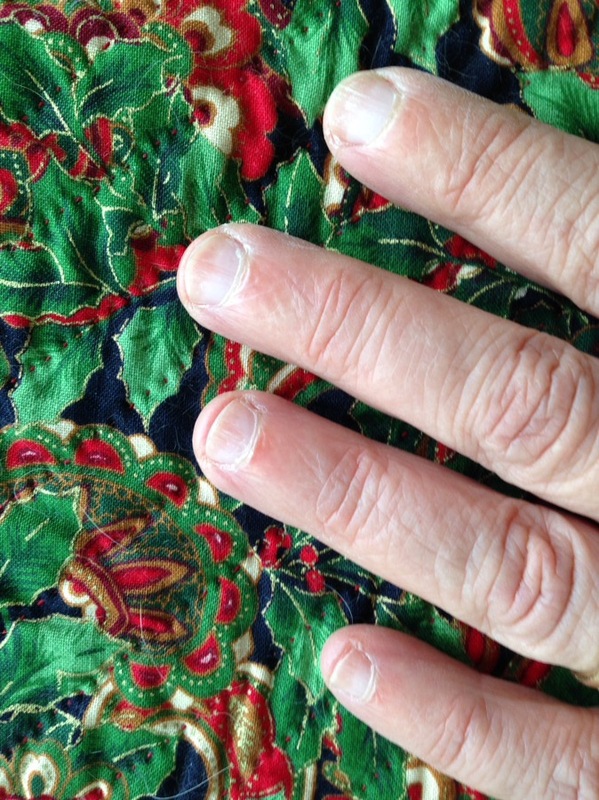 Even though I always wear gardening gloves I always manage to get my fingernails filthy. But wait… they’re clean! …not very pretty, but clean! I have a secret weapon from my fabric dyeing days… skin barrier cream. I’d rub a teaspoon or two into my hands before dyeing and when finished any remaining color would wash off with soap and water. Hmmmmm… would this work with garden dirt as well? 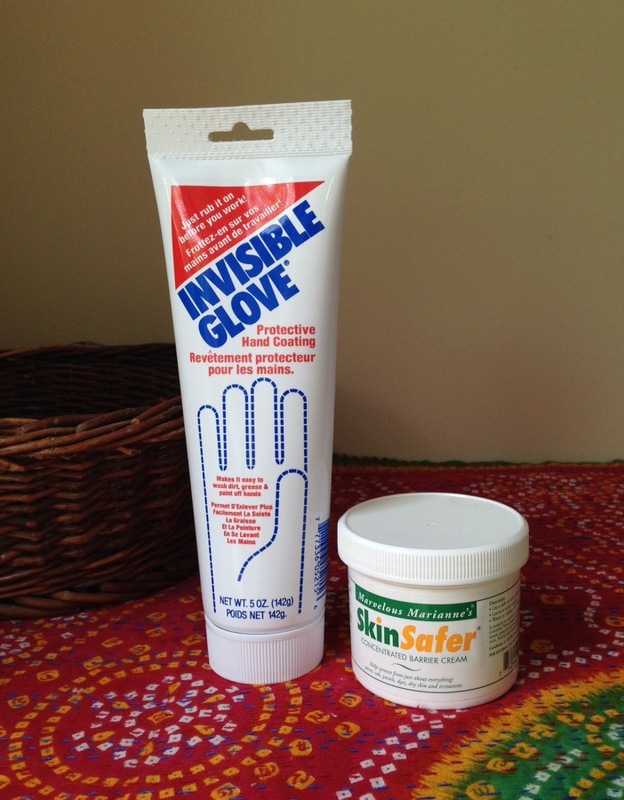 Both Blue Magic’s Invisible Glove and Marvelous Marianne’s SkinSafer Barrier Cream work wonders. Just make sure to get cream under the nails so it can do its job. 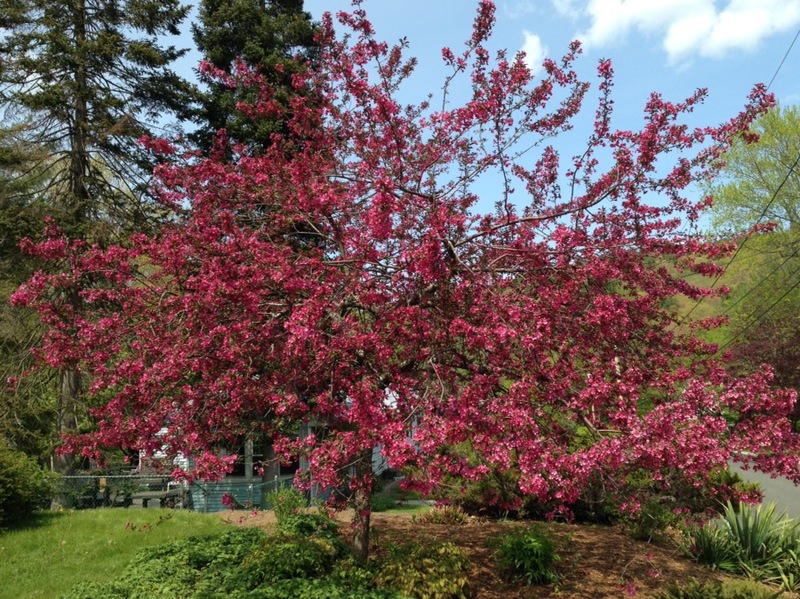 Now we have a flowering crab standing where the maple used to be and soon we’ll have more sun-friendly plants in place too. And with a layer of barrier cream my hands will clean up nicely! 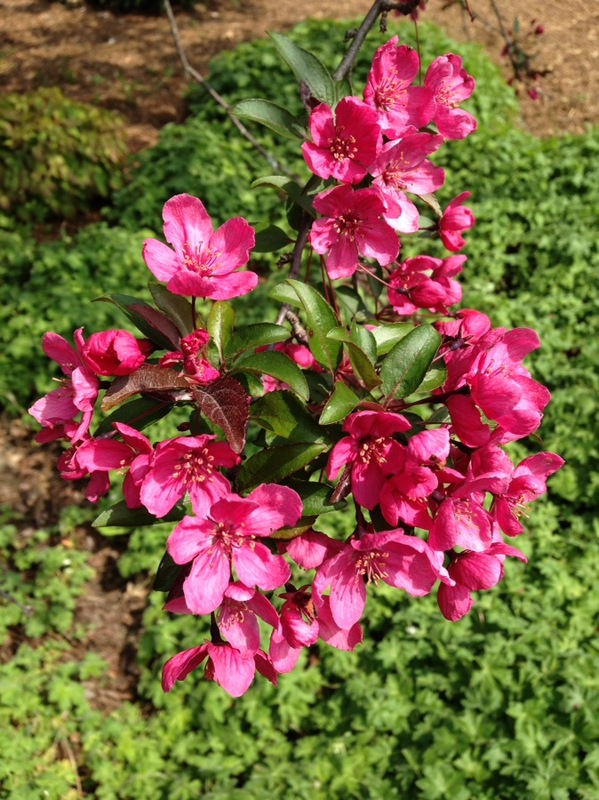 Malus ‘Prairifire’… glorious rose-red blossoms followed by tiny fruit the birds adore! Highly recommended!